Rimini is well known, and with good reason, as the vacation capital of Europe, and you will agree, the moment you arrive. In fact, you will be convinced just by spending one day at the beach, (the biggest and most attractive in Italy! ), by mixing with the thousands of tourists, and by making friends with people from every corner of Europe. During the evenings, take a nice walk along Lungomare, and discuss which pizzeria, pub or discotheque you would like to try next….Rimini assures enjoyment for all tastes. But Rimini has a lot more to offer, and a bit of time should also be dedicated to exploring it’s magnificent art and rich history. Walking through the quaint streets of it’s historic centre, there are discoveries to be made which are testament to the city’s grandious past. You will be left fascinated by the imposing ancient Roman ruins, such as l’arco d’Augusto (the most ancient Roman arc still standing, which dates back to 27 bc), the Ponte Tiberio (14 ac, which is in perfect condition and still in use today), la Domus del Chirurgo, with it’s recently discovered mosaics and utensils, is one of the most important archaeological sites in Italy, (which has just been opened to the public), or the majestic ruins of the ancient Roman amphitheatre. In the city centre, you will also find many monuments from Rimini’s renaissance period. Such as the Malatestiano temple (featuring the remarkable opera from Leon Battista Alberti, frescos from Piero della Francesca and Agostino di Duccio), or the Sismondo castle (which was designed by Sigismondo Malatesta & Filippo Brunelleschi).  And after all that, if you would like to get to know Rimini in depth, we will be glad to advise you on planning your very own sight seeing trip, whether be it by bicycle, motorbike or car. You may also like to spend a splendid day discovering castles, fortresses and villages such as: San Leo, Verucchio, Montebello, Montefiore, Saludecio, Santarcangelo … and last but not least, San Marino (the world’s oldest republic, founded in 301 ac). If you appreciate good food, and would like to sample products which are typical of the local region, then it is essential that you take a trip to la strada dei vini and Sapori di Romagna, specifically designed with your gastronomic pleasure in mind, and will surely leave you with a satisfied palate!! !